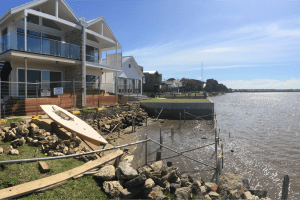 The main builders of display homes in Brisbane and on the Gold Coast are Metricon Homes, Plantation Homes and GJ Gardner. 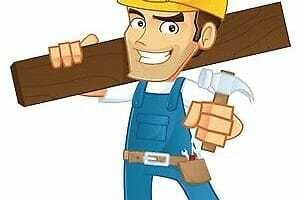 Of course there are many other builders of display homes…too many to list. 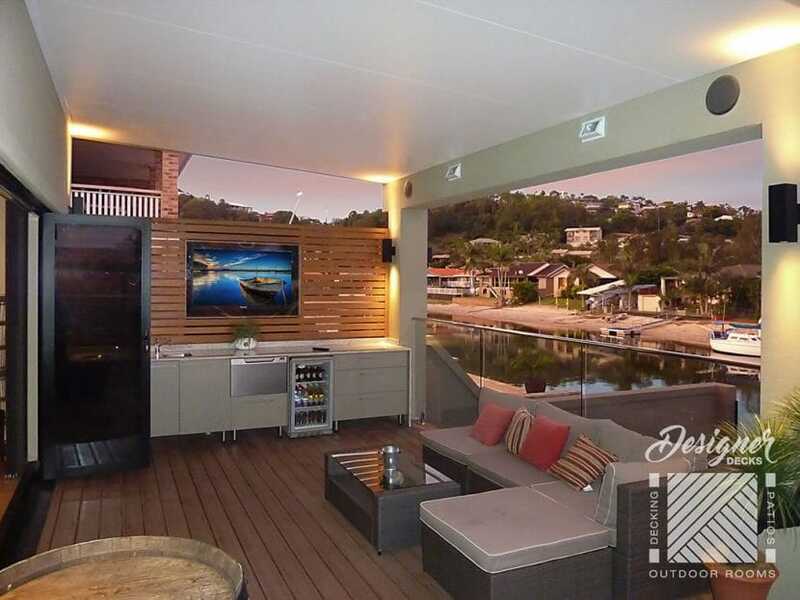 Not surprisingly, most display homes in Brisbane and the Gold Coast have outdoor rooms which are designed and built so that they seamlessly merge indoor and outdoor living. 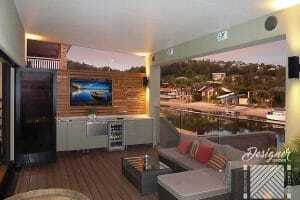 So what makes a great outdoor room, I hear you ask? 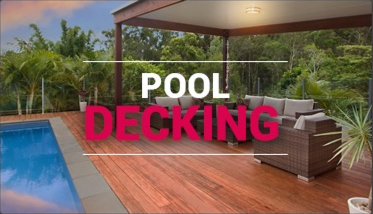 Timber decking for the floor – The warmth of a timber deck whispers and invites you to enjoy the great outdoors.  Designing your outdoor deck floor height to be the same height as your internal floor height also merges indoor and outdoor living. 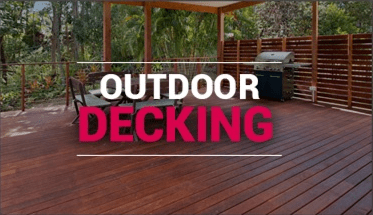 Deck Roof – So that you can enjoy outdoor rooms all year round, it makes sense to have a solid and water tight deck roof over part or all of your outdoor room. Garden – Having a garden with some plants or herbs around part or all of the perimeter of outdoor rooms is a great idea. Flowers in hanging pots can also add colour and balance to your outdoor room. BBQ or Outdoor Kitchen – An integrated BBQ or an outdoor kitchen will enable you to cook and entertain family and friends, no matter what the occasion. 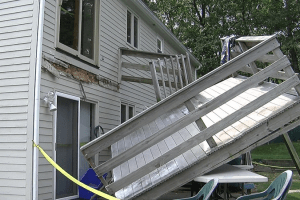 It will also add appeal and value to your home. Breakfast Bar – Having a breakfast bar as part of your outdoor room is getting more and more popular….Your coffee or tea is ready! !..It’s a great way to start to the morning. Outdoor Lighting – LED lights or outdoor lights will make your outdoor room feel warm and inviting and allows you to extend your entertaining well into the night. Other features – Decorative screens, the clever use of walls, posts, even bulkheads can give outdoor rooms a sense of space, without them feeling restrictive. So if you are building a new home or display home, make sure you include one or more outdoor rooms….it may even end up being your favourite room!! 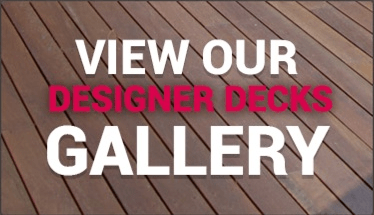 Designer Decks service Brisbane, Gold Coast, Ipswich, Logan, Redlands and Tweed areas.